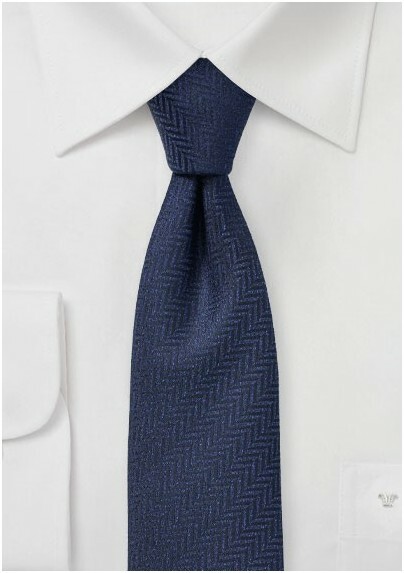 Solid navy ties are always a classic addition to any shirt and suit combo. 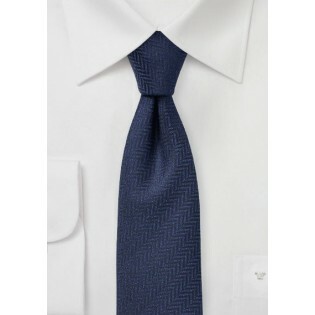 While solid satin finish ties might look classy, they are also a bit too common to make you stand out. Now how about combining the simplicity of a solid navy tie with an unusual texture such as shown with this new design by PUCCINI. Add to any gray, navy, black, or tan suit and instantly be one of the most dapper dressed men at the party. Made from woven microfiber.